Now downloaded by over 1 million users. Fleksy, the award-winning touchscreen keyboard company, today released a major update to its iOS app. Building on the international success of Fleksy on Android, this redesign brings a new look and greater functionality to Fleksy on iOS. 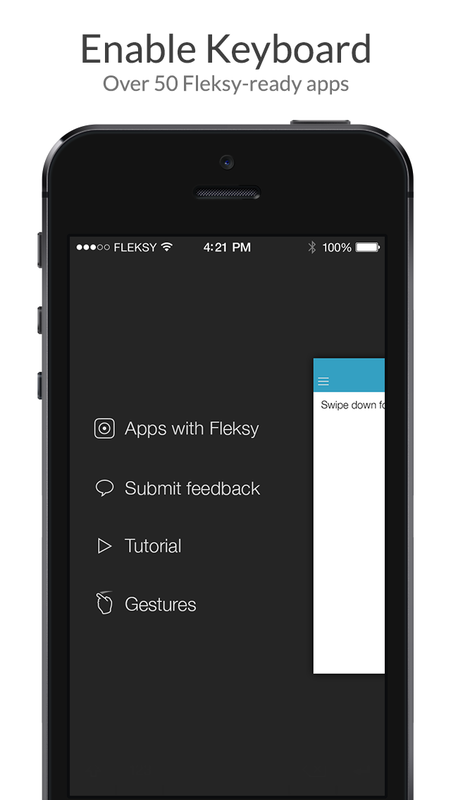 The update includes a complete redesign of Fleksy’s user interface, with sleeker and faster menus for every user function. A brand new, intuitive tutorial will guide users through Fleksy’s onboarding process, and users will be supported by a new in-app feedback system and FAQ guide. 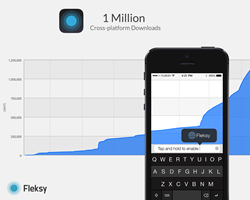 This update comes as Fleksy’s cross-platform downloads cross the one million mark, just 2 months after Fleksy exiting beta on the iOS platform. “Demand for alternative keyboards on iOS has been building for over 7 years, but no other keyboard company has figured the distribution mechanism for such a technology on the platform” said Kosta Eleftheriou, Founder and CEO of Fleksy. “Our approach to work with developer partners is giving us a very exciting and growing iOS distribution platform”. Recent partners of the Fleksy SDK on iOS include the beautiful note taking app 1Writer, and the popular Twitter client, Tweetings. “We get about half our downloads from iOS, a platform our competitors have publicly criticized as doomed for failure for third party keyboards. Our success shows that iOS is a genuine opportunity for really innovative keyboard technologies, and today’s major update is the first step of us doubling down our efforts on this platform,” said Ioannis Verdelis, Founder and COO of Fleksy. Winner of the 2013 CES Innovations Design and Engineering Award, Fleksy is the first keyboard app to be demonstrated on a 3D gesture system (Leap Motion); the first to be demonstrated on a smartwatch (Omate) and the first to arrive on iOS. Fleksy’s award-winning design and technology is backed by venture capital firms including Highland Capital Partners and Kleiner Perkins Caufield & Byers.